Home » Bollywood News » This is what Akshay Kumar, Hrithik Roshan are tweeting about each other's films! This is what Akshay Kumar, Hrithik Roshan are tweeting about each other's films! 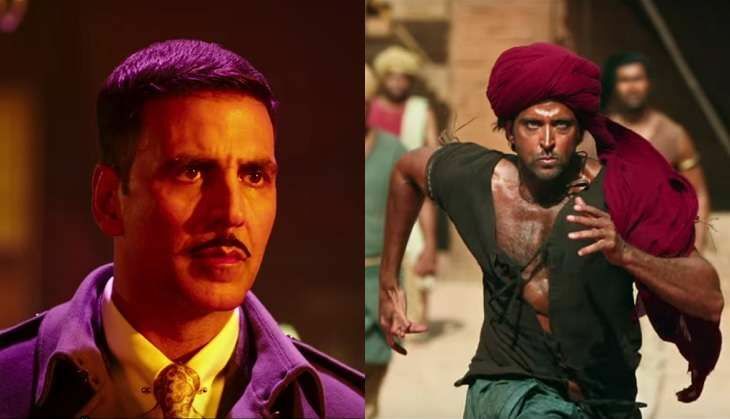 The industry might be rooting for Akshay Kumar's Rustom, but seems like there's no visible rivalry between the two superstars whose big films are clashing this weekend at the Box Office. Both Rustom and Hrithik Roshan's Mohenjo Daro will be locking horns on 12 August, the coveted Independence Day weekend this year. However, the two stars are quite excited as they are seeing it as an entertaining weekend for their audiences. Earlier, Sonam Kapoor, Salman Khan, Ajay Devgn and Karan Johar amongst others tweeted about Rustom, expressing how wonderful it looks. "It's a big weekend and lot of holidays are there. I think history has proved that two big films can always be adjusted in it (such a big weekend). I don't think any film should have any problem." Have you chosen your film for this weekend?